Foster Care Link has a unique and dedicated specialist service in finding families for children of varying different backgrounds, ethnicities and languages. As part of this service Foster Care Link is the only agency in the UK which has a dedicated Muslim Fostering Service. We have foster carers in London and the South East, North West and Yorkshire regions. Our foster carers also come from a diverse range of ethnic backgrounds speaking 10 languages. We can therefore often offer the best placement match for children of any ethnic background, who need a foster home. 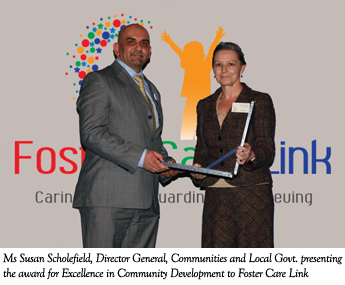 Foster Care Link is an award-winning agency with a proven track record. We have been established since 2002 and have subsequently built a reputation for the quality of our work, which is always centred around the needs of children placed with us. We have so far managed placements for nineteen Local Authorities across England and Wales to achieve positive outcomes for children in care. We are currently rated as an ‘Outstanding’ agency in every area in our Nov 2014 inspection. We have excellent testimonials from the Local Authorities that have used our service, and our greatest asset, our team of dedicated foster carers, have consistently advised us that they feel well supported and cared for as part of our team. Foster Care Link is approved by many consortiums throughout England and Wales including London Care Placements, Placements North West and SCMS Yorkshire & Humber Consortium. A strong and dedicated staff team manages Foster Care Link to ensure it continues to develop and meet the objectives of the organisation. Click here for more details.